Athens' ancient Parthenon is not under threat from water seeping into rock beneath it despite successive days of torrential rainfall this week, Deputy Culture Minister Petros Tatoulis said Friday. There is absolutely no danger, Tatoulis said in a statement. He said no water was escaping through a temporary floor installed inside the Parthenon for restoration work. 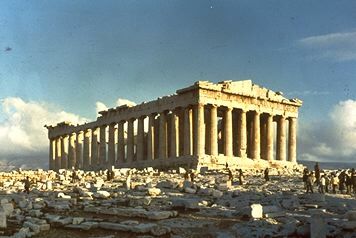 Architect Manolis Korres, a key figure in a massive restoration project at the 2,500-year-old monument on top of the Acropolis Hill, warned on Wednesday that rainwater was gradually draining into rock underneath the Parthenon and could eventually weaken the monument's foundations. Athens and other parts of Greece have been battered by storms and heavy rainfall this week, which caused flooding, limited power cuts, disrupted transport services and caused the death of one woman in southern Greece.